Get the futuristic look of star with these Mirror Wrap Around Glasses - Adult One Size from Costume Supercenter. 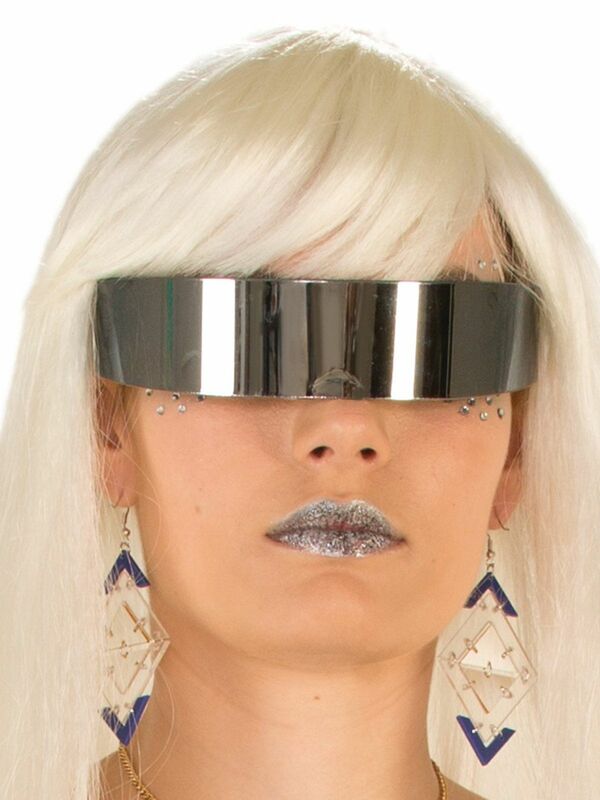 These crazy glasses are sure to complete any fun and futuristic costume that you are thinking of. Not only are these really funky, but they are also made from a durable plastic and are sure to last through a night of fun and dance. Order now! Includes (1) pair of glasses.